I can’t stand holiday party dresses. I did it for a five minutes when into clubs, but now a cross between tomboy and chic casual is edgier and ironically feels younger to me. 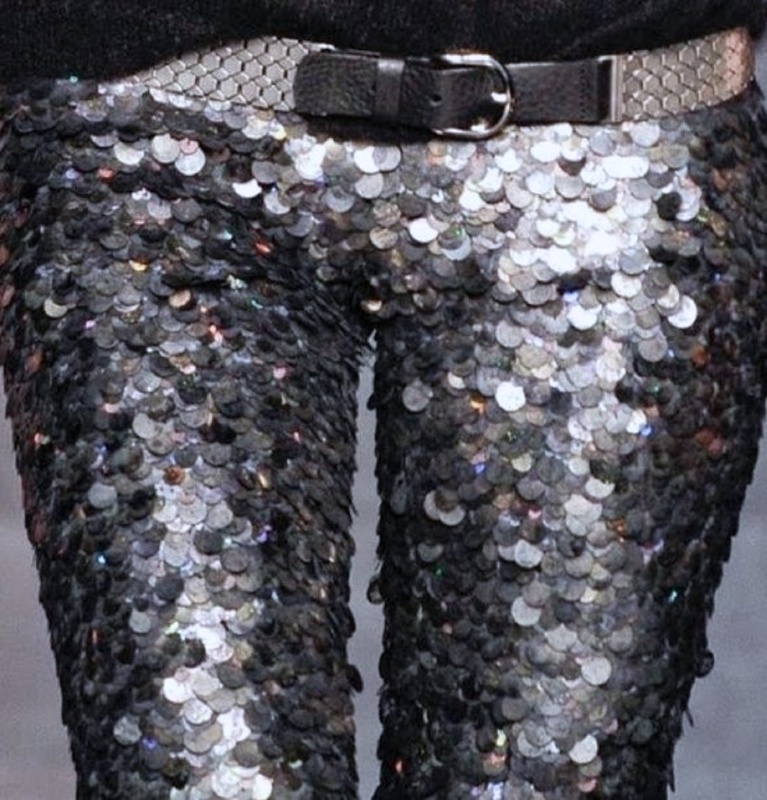 Sequins fills the void if done effortlessly. Only ‘rule’ – keep everything undone. Keep it loose, messier and contrasted with basics. Messed up imperfect hair and the either/or red mouth or slick of eyeliner (my fave linked) = done. H&M Tuxedo jacket – this with a basic tee like the above. 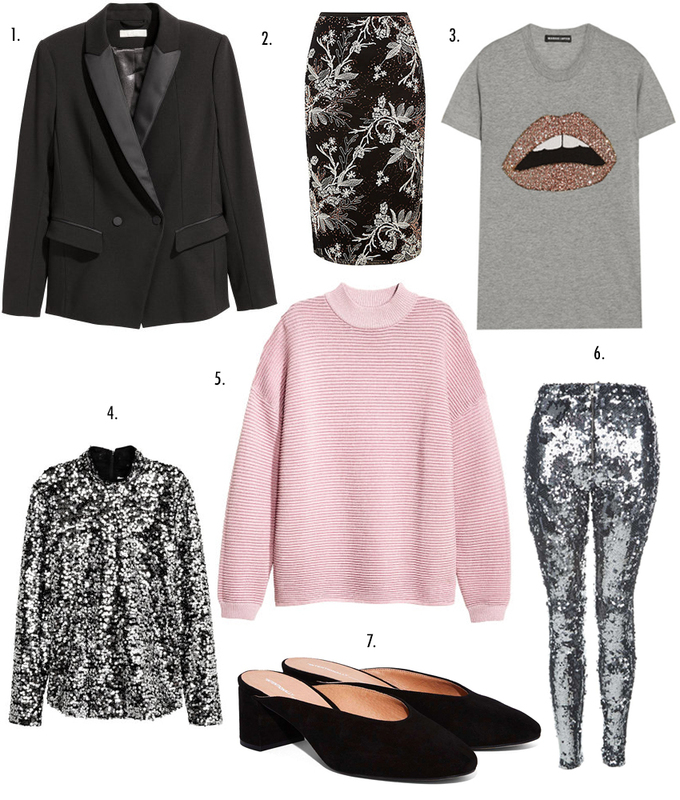 H&M sequin top – wear with oversized mens trousers. Sequin Converse in pink – wear with rolled jeans. Question: What do you have your eye on to wear for parties this month?